On June 12th, 1886, a German ship in the Indian Ocean tossed a bottle into the water to track the currents. Amazingly, that bottle was discovered earlier this year on a beach in Australia, making it the oldest message in a bottle ever found—a time capsule, 131 years in the making. On January 21st, Tonya Illman was walking along a beach in Western Australia and discovered a vintage bottle that was so cool she decided to take it home for her bookshelf. But it wasn’t until she and her family were in the car heading home that someone noticed that there was a note inside. After drying out the note, they discovered that it was in German and the faintest of handwriting could be seen along with the printed material. Tonya and her husband Kym could read the dates, but had to put the text through Google Translate, coming to the conclusion that it must’ve been tossed from a German ship in the 19th century. 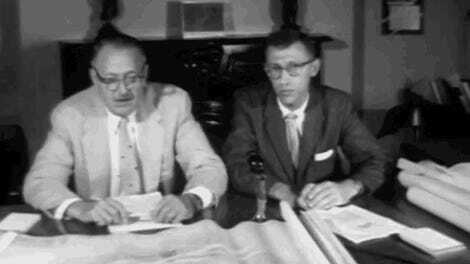 They contacted the Western Australia Maritime Museum, which reached out to their counterparts in Germany. Amazingly, the note matched historical logs held by the German Naval Institute. The boat was heading from Cardiff, Wales to Indonesia (then known as Macassar in the Dutch East Indies) when the bottle was tossed overboard with hundreds of others. Tonya’s husband, Kym Illman, is a photographer and marketing consultant who set up a website about the find. He even made an impressive amateur video of their discovery for YouTube that explains the entire discovery process. The bottle was missing for 131 years and 223 days after it was tossed overboard on June 12th, 1886, making it the oldest message in a bottle by a couple of decades. Previously, the oldest known message in a bottle was roughly 107 years old. Back in 2013, someone in British Columbia, Canada found a message in a bottle from 1906. And then in 2014, some fishermen off the coast of Germany found a message in a bottle from 1913 that was 101 years old. But this latest find, which has yet to be verified by the Guinness Book of World Records, could be hard to beat. 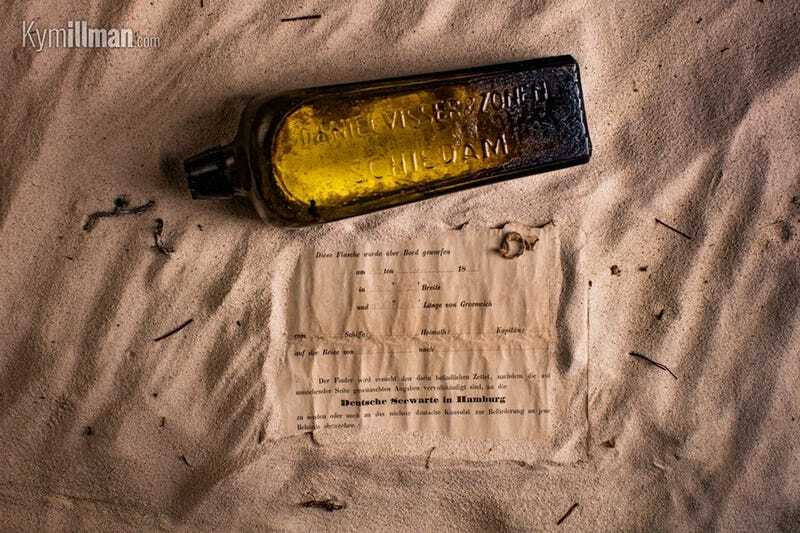 Finding a century-old message in a bottle is incredibly rare, but still happens. The biggest obstacle is generally corrosion of whatever was sealing the bottle, rendering the note inside worthless. Curiously, the Illmans claim that they found this bottle without a cap, so it’s astonishing that the note inside survived. The best theory might be that it made its way to shore before the cap came off and was covered by the sand dunes near Wedge Island, protecting the message inside from moisture. There was recently a cyclone north of the area, which may have disturbed the (presumably buried) treasure, bringing it to the surface of the beach. But at this point that’s just speculation. Message in a Bottle From Britain Washes Up on American Shores But Look We Got Our Own Problems, OK?